Bored with salads but trying to avoid the high carb counts of sandwiches? 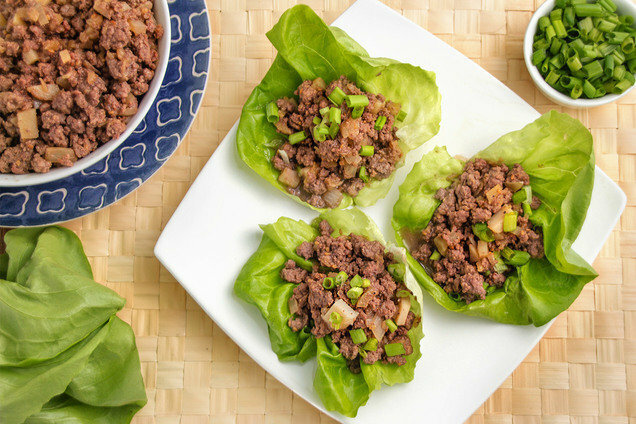 These protein-packed lettuce cups are just what you need! A little sweet, a lot savory… fresh and fun! Reduce heat to low. Add pineapple, teriyaki, and water chestnuts. Cook and stir until hot and well mixed, about 2 minutes. Just before serving, evenly distribute among lettuce leaves, about 1/4 cup each. Top with scallions. Hungry for More Protein-Packed Lettuce Wraps? Happy National Cappuccino Day, November 8th. Celebrate smart with a Starbucks Grande Cappuccino with nonfat milk… Just 80 calories! Quick! Click "Send to a Friend" to get this email to your pals before lunch!